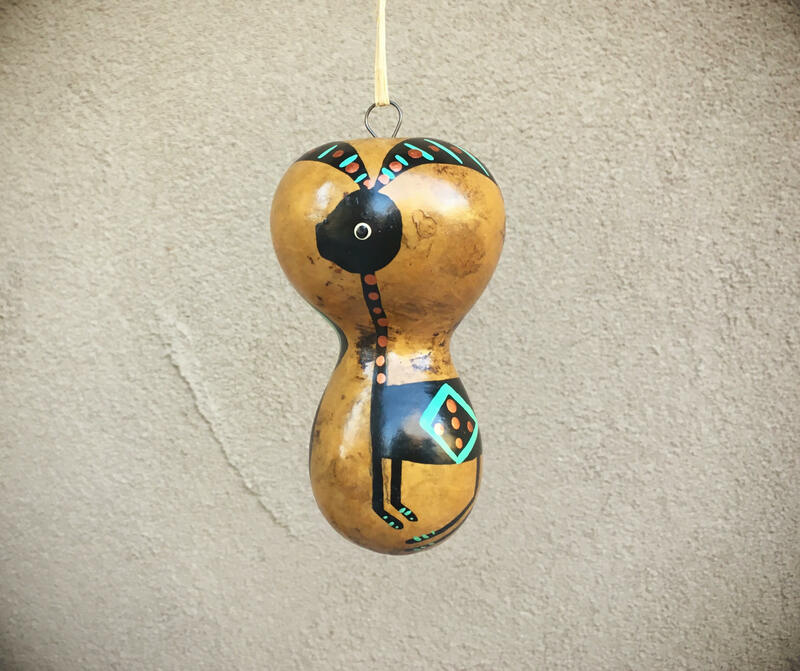 This is one of a set of gourd Christmas ornaments in my shop, featuring Mimbres style designs in black with teal or turquoise color and copper color paint. 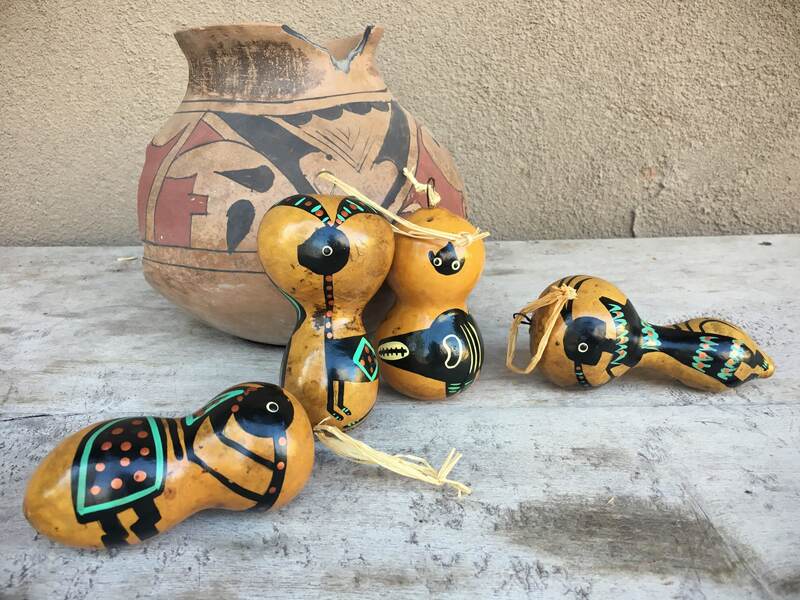 The piece is finished in a smooth high gloss, which deepens the color of the gourds. 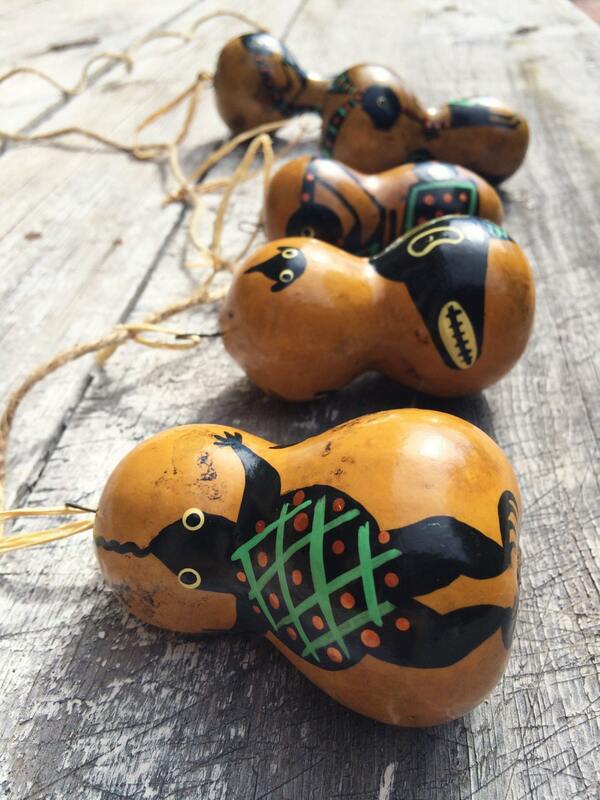 Small wire firmly secured into the gourds for hanging. 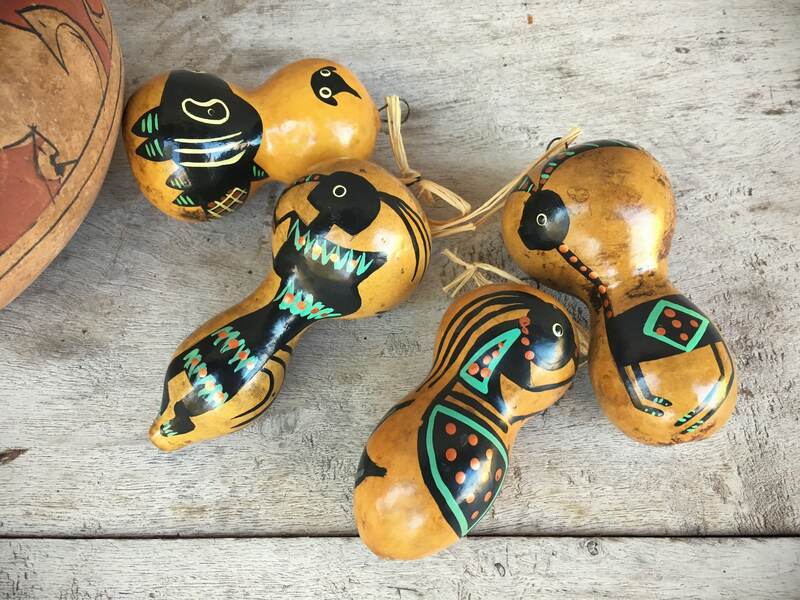 You can hear the dried seeds inside some of the gourds. 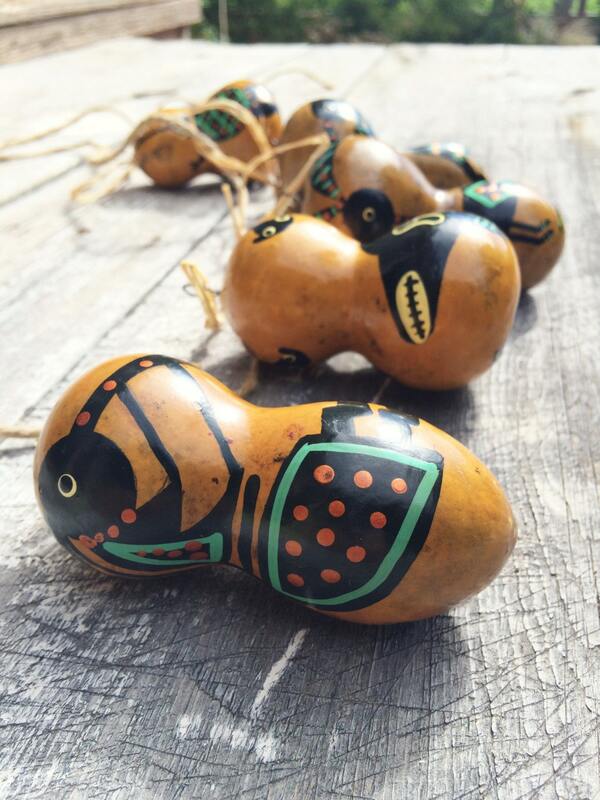 As the piece is unsigned, or signature obscured over time, we cannot say for sure that it is Native American made or Mexican; hence, we call it Native inspired. 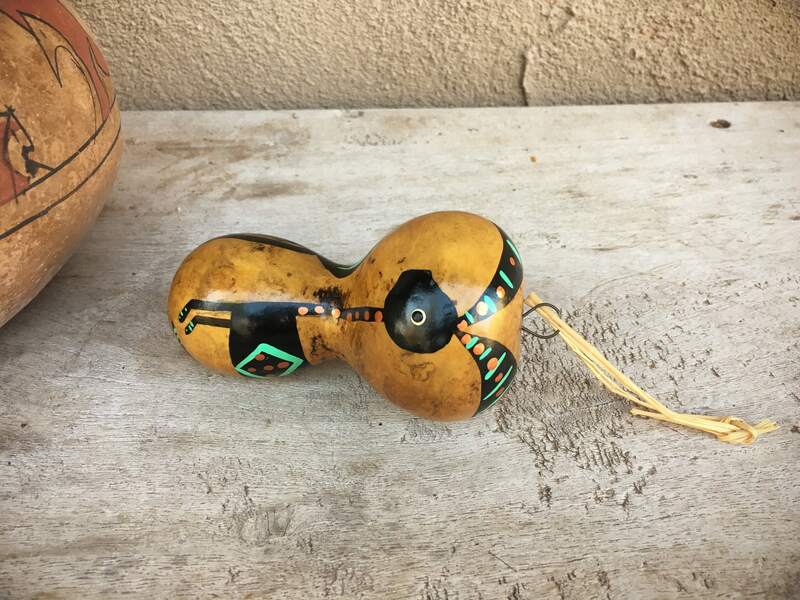 The design on this ornament is of an Antelope,has wide horns that look like floppy ears and a diamond on its side with five dots inside. 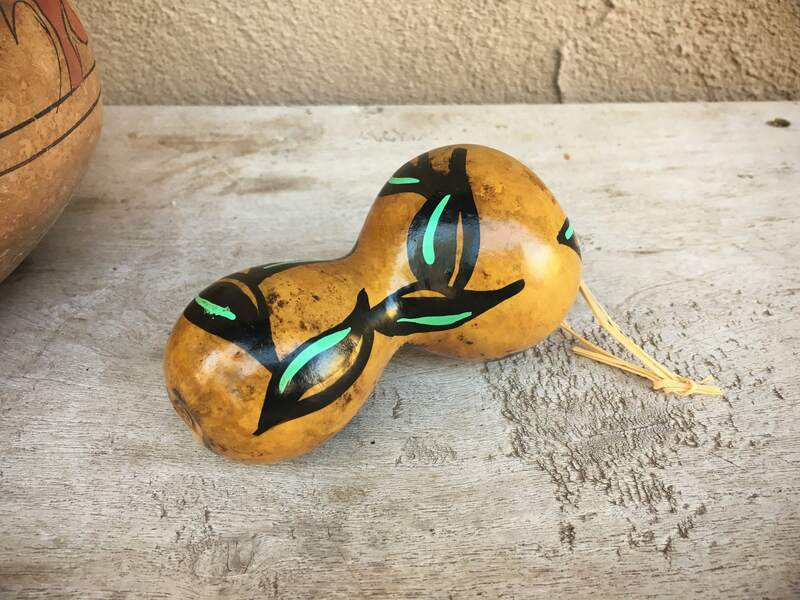 Measures about 4-3/4" tall from the top of the eye hook to the base of the gourd. In good vintage condition. 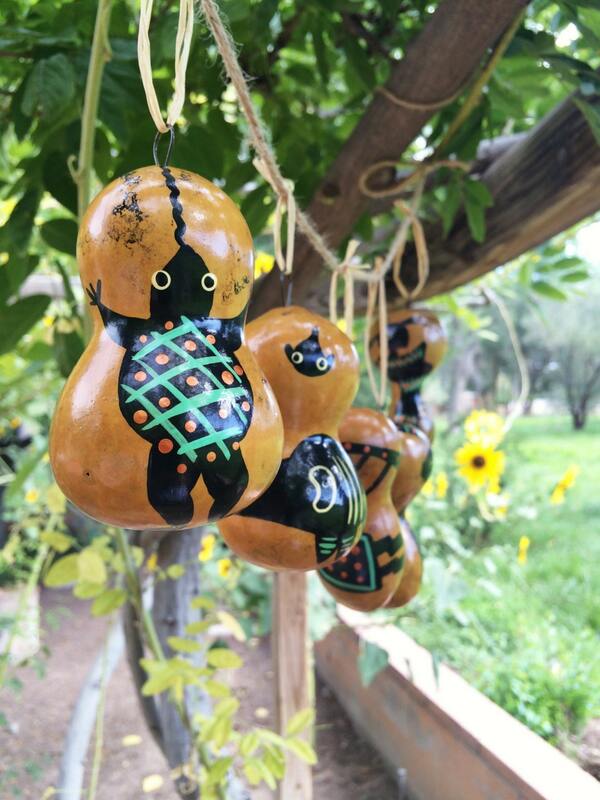 A touch of the Southwest for your tree.